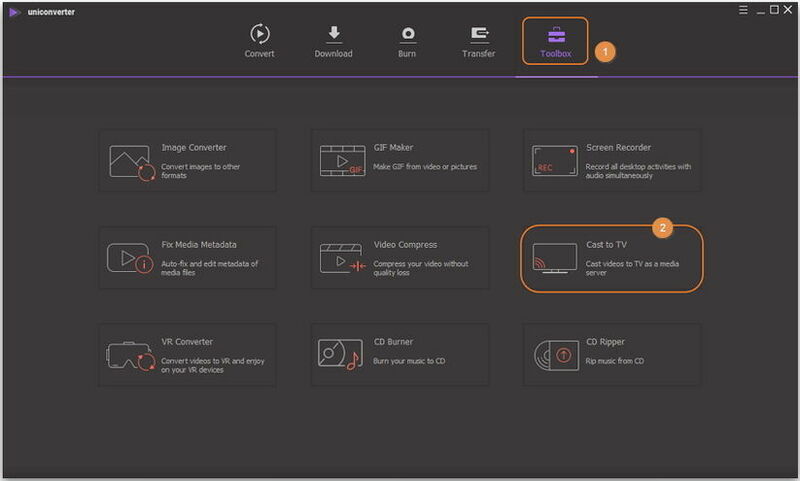 Can't view the AVI files on your TV via USB? That happens and as common, not only to you! An AVI file is a very complicated format that can be encoded in various ways and your TV just won't be able to recognize all of them. Well, it's hard to find the right codecs and install them accordingly. 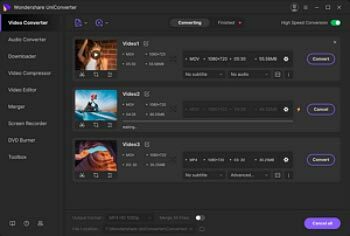 So, it's better to try out the easier and quicker way; encode them to whatever format you need in just 3 simple steps. There's a detailed step-by-step guide below. 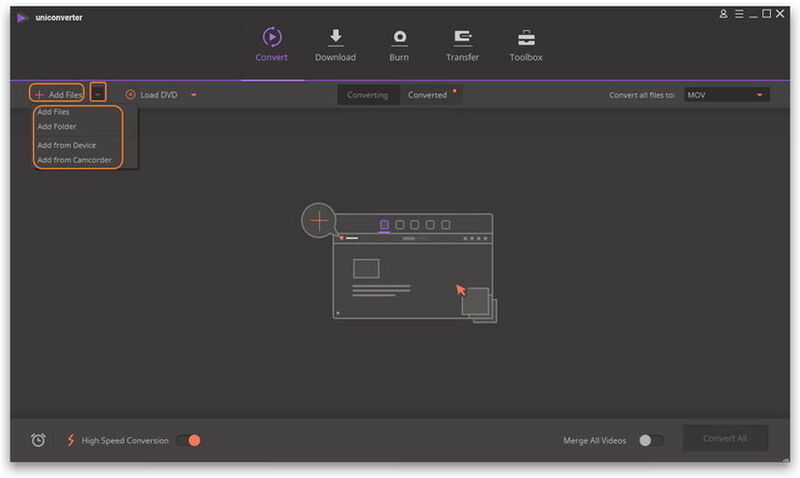 Alternatively, if you have streaming devices like Chromecast, Roku, Apple TV, Xbox or PS3, or your TV is a smart TV, you can directly use Wondershare UniConverter (originally Wondershare Video Converter Ultimate) to stream AVI files to TV (Samsung TV included), no matter what codecs are inside AVI files. That means you don't need to play AVI files on TV through USB. Note that this solution is only suitable for the Windows platform. Okay let's first see how to convert AVI to TV compatible format if you still use the USB way. Then we will tell you how you can stream any AVI files to TV (Samsung TV included) with just a click. Launch this program, click the Add Files button or drag your AVI files directly onto the interface. Tips: Batch conversion is allowed here to ease your conversion and save time. Go to the Target section and click the drop-down button, then a drop-down list will appear with tabs of Recently, Video, Audio and Devie. It's recommended to double-check the compatibility or supported formats on your TV first, as this might vary according to brand and models. However, the MPEG-2, VOB and Dvix file format is generally supported across different TV sets. Now you've come to the last step, just hit Convert to kick off the AVI to TV conversion. Once it's converted, you can now transfer the files to your hard drive and play it back on your LCD via a HDMI or USB cable. And below is the brief video tutorial for your reference. 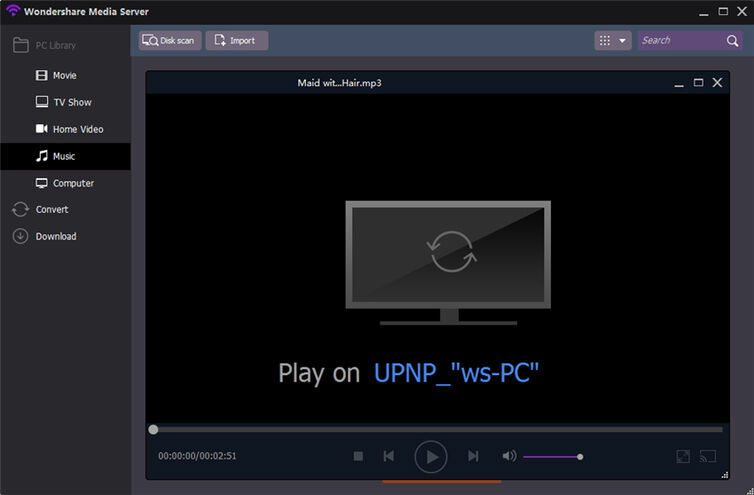 Note that this way is only feasible on the Windows platform with Wondershare UniConverter (originally Wondershare Video Converter Ultimate) and make sure you have got a streaming device like Chromecast, Roku or you have a smart TV. And in this way, you don't need to worry about what codecs are inside the AVI files and how to convert them. 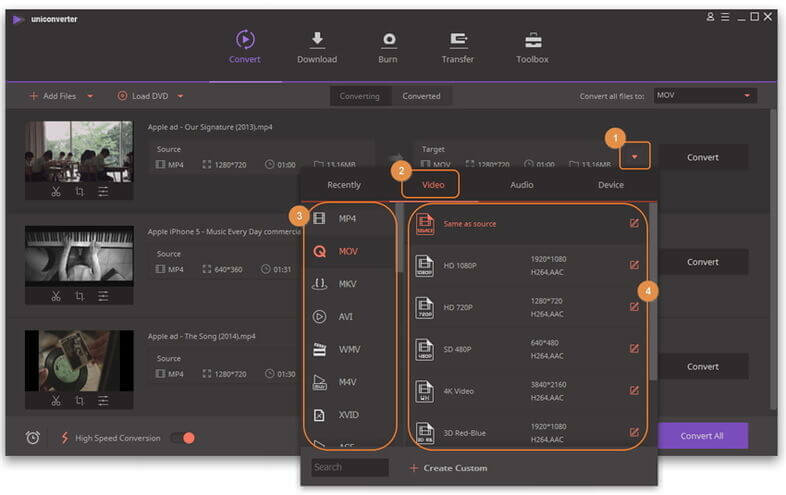 It can also support any other formats that you can think about like MKV, MOV, MP4, WMV, VOB, RMVB and much more. 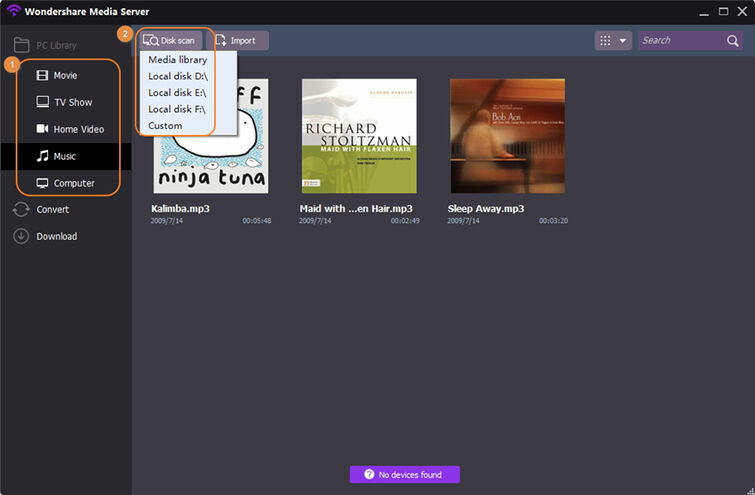 Launch Wondershare UniConverter (originally Wondershare Video Converter Ultimate) and click Toolbox in the top, then choose Cast to TV. Click Import and Disk Scan to get your AVI files to Media Server. Also you can navigate your computer to find the files through the Computer option on the plugin. Make sure your Samsung TV is connected to the same network as your computer. Mouse over a file and you’ll see a Wi-Fi like icon in the middle. Click the icon to playing it and you can AVI video file streaming to your TV simultaneously. If your original files is HD quality, you can also choose the HD MPEG or TS format. You can also adjust the parameters to be exactly the same as your source file to ensure the best quality of playback. To access the setting window, just click the Settings button right above the Convert button. Furthermore, you can also select the output format as 3D MOV, 3D WMV or 3D MP4 in the 3D format category if you wish. If you prefer to watch videos on TV with the home DVD player hooked up, you can burn your AVI files onto a DVD disc with this Video Converter too.